Four years after its inception, the accolades for our LS5/9 keep on coming! 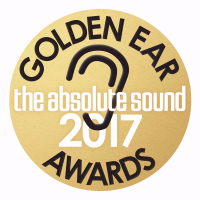 We were delighted to learn that our BBC-licensed monitor has been awarded a Golden Ear award by The Absolute Sound. "This new version of the LS5/9 preserves the essential truth-to-music of the original BBC designs, seldom equaled since, but with additional dynamic capacity... The realism arrising from truth to timbre is increased by superb resolution of detail, with inner parts of complex music fully realized and spatial information made clear, all without any hint of top-end edginess - the price one can have to pay all too often for such detail... This is a profoundly thought-out design. And it sounds more like real music than the vast majority of other speakers." - Robert E Greene. To hear what the Graham LS5/9 can do for your favourite recordings, please contact a dealer for a demonstration.